Be sure to have all of your sewing notions handy while on the go or being creative in your sewing room with this handy travel sewing kit. 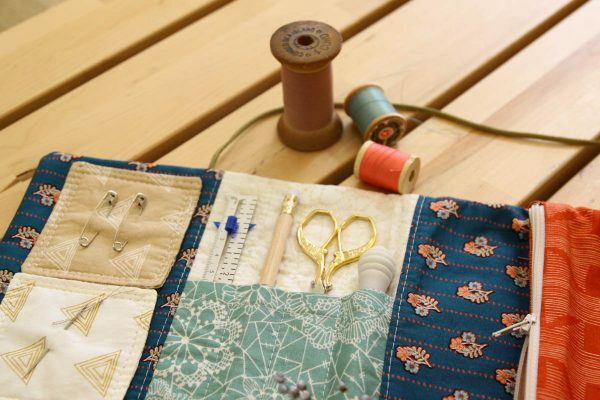 The Travel Sewing Kit was sewn on a BERNINA 550 Quilters Edition featuring Fleet and Flourish fabric collection designed by Maureen Cracknell. Fabrics used within this tutorial can be picked up online or in your local store. 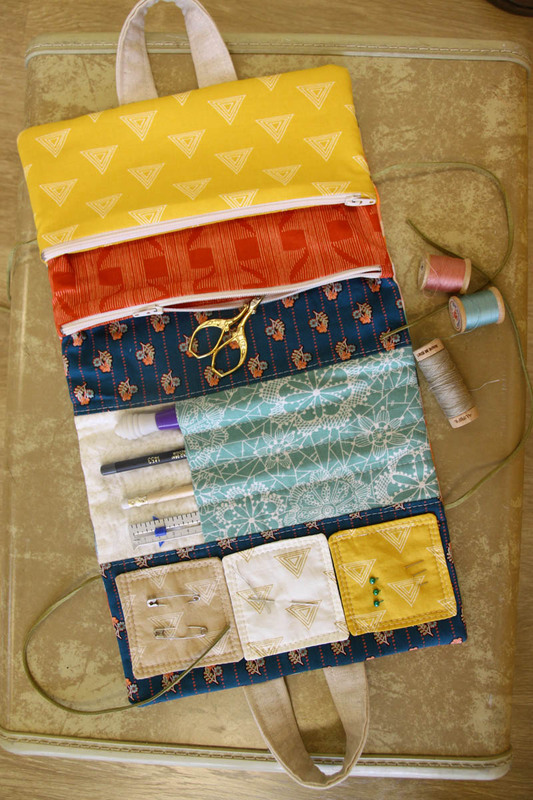 In the Travel Sewing Kit we showcase how to apply a zipper with tabs and how to sew with the walking foot. 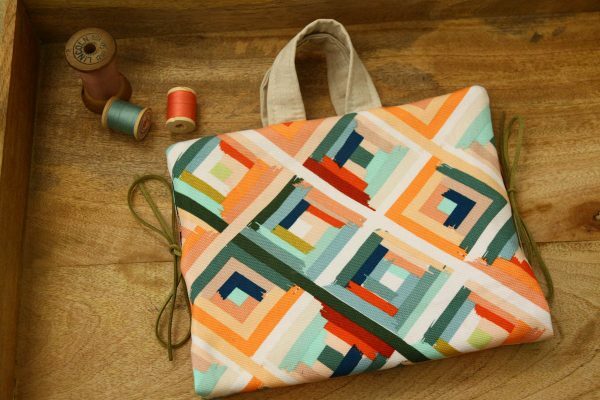 For more projects made with Fleet and Flourish fabrics check out our Fabric Project Catalog! I hope this helps! 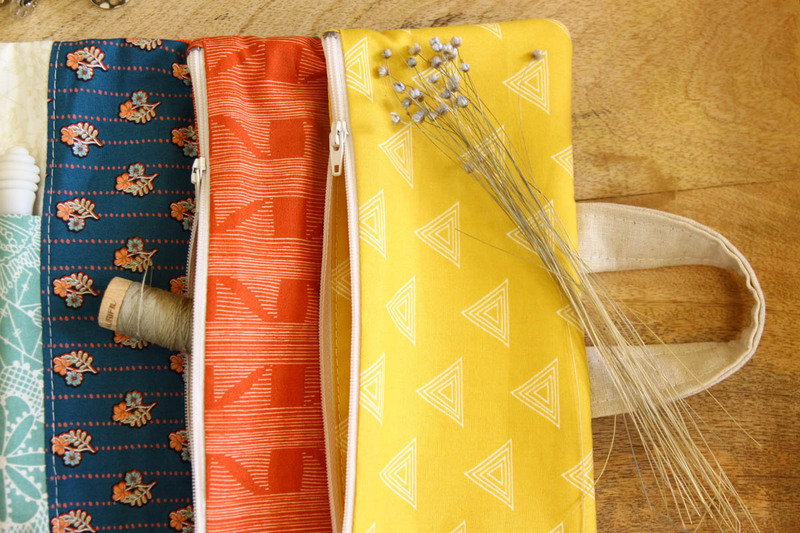 Enjoy making your traveling sewing kit! What a great idea! These would make fantastic stocking stuffers for all of my friends and family! 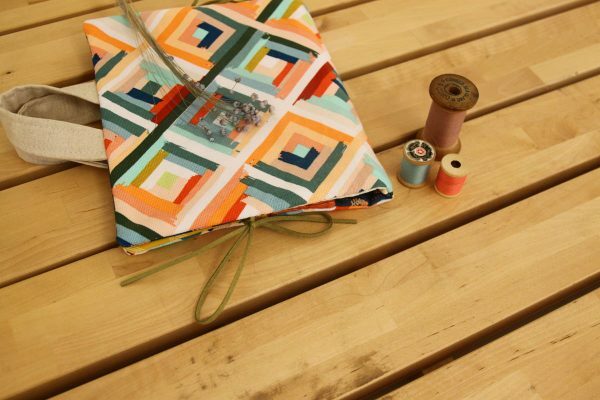 The easiest way to save this project to look back at it later would be to bookmark it on your web page browser. I love this project. I should have so many little sewing kits in my sewing room and car but I don’t. They are like are bags. 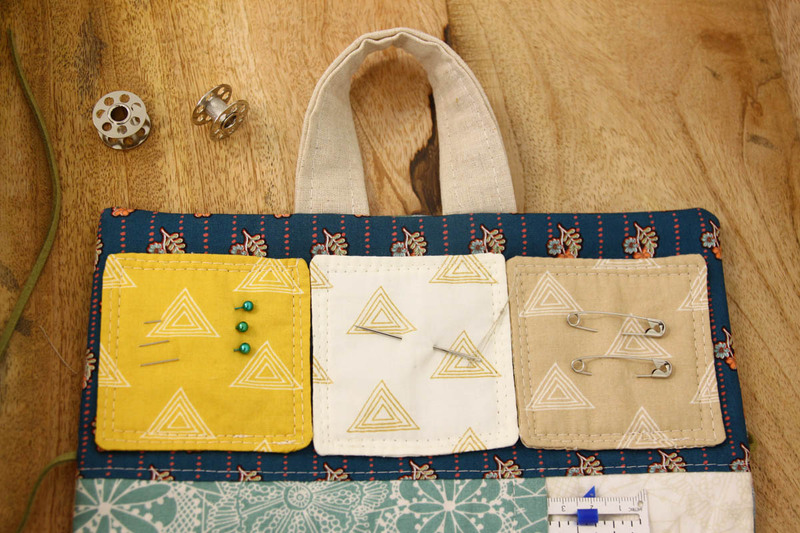 I collect the patterns for some day.